While the NYC electrification projects were not nearly as prolific as rival Pennsylvania Railroad’s, the railroad did have expansive operations in and around the New York City region as well as short segments in Cleveland and Detroit. Also, all of the Central’s electrified lines were built to satisfy particular city ordinances, most notably in New York, and the railroad did not bother electrifying large portions of its main lines like the Pennsy. However, despite this, the Central used its electrified operations very effectively and efficiently, particularly through the use of under-running third-rail, an application that uses an additional (and slightly elevated) rail where “shoes” on locomotives pick up electricity. Third-rail also allows for a “cleaner” right-of-way and less maintenance than traditional overhead catenary. The NYC electrification of its inner-city lines initially began as an idea in the late 19th century to solve the ever-growing congestion issue of passenger traffic using its main line into downtown Manhattan to reach the railroad’s Grand Central Depot. To solve this increasing problem the NYC decided to construct a series of underground and reach Manhattan via a much larger, and brand new terminal. Due to the length of the tunnels the NYC realized that the only practical type of motive power to use was electrics. 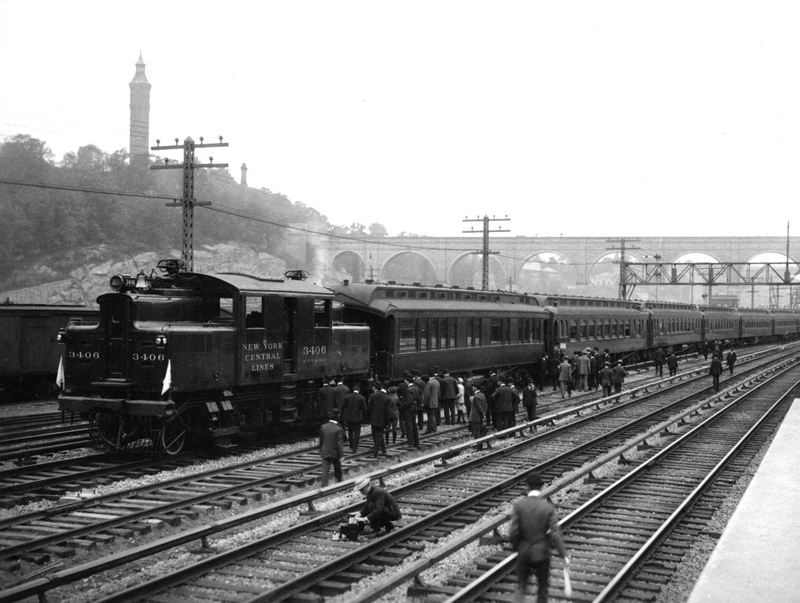 However, the development of this project was swiftly expedited after a New York Central passenger train collided with a New York, New Haven & Hartford Railroad suburban train in January of 1902 in New York City (because of a smoke-obscured signal), many cities began passing ordinances banning steam from their city limits due to their inherent health and safety risks. Soon after this tragedy the Central began electrifying its lines in and around New York, which first began operations on September 20, 1906 (the railroad was required by the new city ordinance to discontinue use of steam locomotives by July 1, 1908). In total, the New York Central Railroad would go on to electrify its Hudson Division between the later built Grand Central Terminal and Harmon (now Croton-Harmon) as well as its Harlem Division. When the New York Central electrification project began the railroad decided on a 660-volt, direct current (DC) system employing third-rail, similar in nature to what the Baltimore & Ohio Railroad had used for its Baltimore Belt Railroad project a decade earlier (the NYC looked to the B&O’s project for guidance when constructing its own electrified lines). 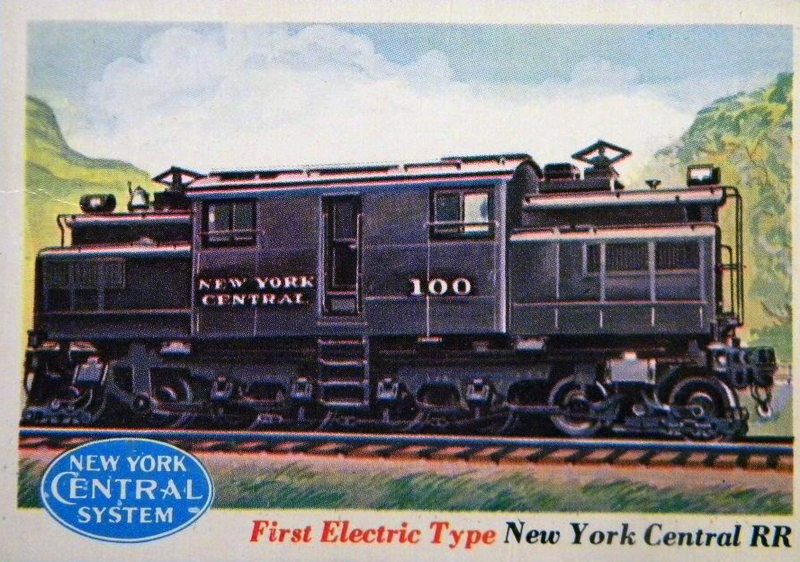 For power the Central began with a 1-D-1 electric locomotive design built by General Electric; originally classified as Class L it was eventually changed to an S-1 class and the only one ever rostered by the railroad. A rather short and stubby locomotive what it lacked in length it more than made up for in power featuring a constant rating of 2,200 hp with short bursts for acceleration as high as 3,000 hp. Numbered 6000 the locomotive was later renumbered to 100 and was still used in daily operation through the 1960s, mostly for yard work (the locomotive has also been preserved but is not on public display). 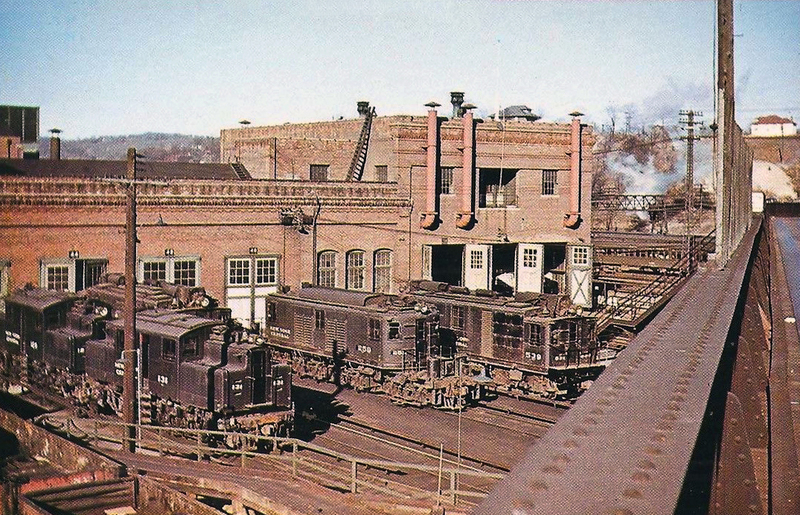 In all the NYC would own three classes of S electrics, the aforementioned S-1 and later models, S-2 and S-3. The railroad would roster a total of 34 S-2s, and 12 S-3s, all purchased during the first decade of the 20th century. Of note, these locomotives gained their designation as S-motors when they were rebuilt with a 2-D-2 wheel arrangement after another serious accident killed 23 people involving S-2s with a 1-D-1 arrangement (the added axle to the front and rear helped the locomotives steer better into curves, which was the cause of the second deadly accident, a locomotive jumping the track). Rather simple designs, NYC’s S locomotives featured gearless traction motors and were eventually all relegated to yard work since their small number of axles put more weight on the rails, thus causing increased wear. The Central’s first purchase of upgraded motors occurred in 1913 when it began taking delivery of an end-cab design with a B-B+B-B wheel arrangement. Designated as T-motors, their all-powered axles allowed for increased horsepower yet with more axles on the rails, less wear on the infrastructure. Because of this the Ts were often used in regular passenger train service and hauling the NYC’s premier named trains to and from Grand Central Terminal. Thus, T-motors were probably the most often seen New York Central Railroad electrics by the public as they could typically be spotted out on the open main lines in and around New York City. The T-motors remained in operation all of the way until the Penn Central merger when they were bumped from service first by the railroad's Class P electrics and later all of the the New York Central's motors were retired in favor of New Haven Railroad’s FL9s. Other NYC electric locomotives included Class Qs, Class Rs and Class Ps (as mentioned above). The Qs and Rs were of GE’s steeple-cab design and featured a B-B wheel arrangement (similar in nature to those used by the B&O). Purchased in the 1920s they were predominantly used on the electrified lines of the Detroit River Tunnel. The Class Ps were used around Cleveland Union Terminal and were originally designated as Class P-1a. They featured a 2-C+C-2 wheel arrangement and after CUT electrified operations were discontinued in the 1950s were transferred to GCT, reequipped for third-rail operation and dubbed P-2a and P-2b. 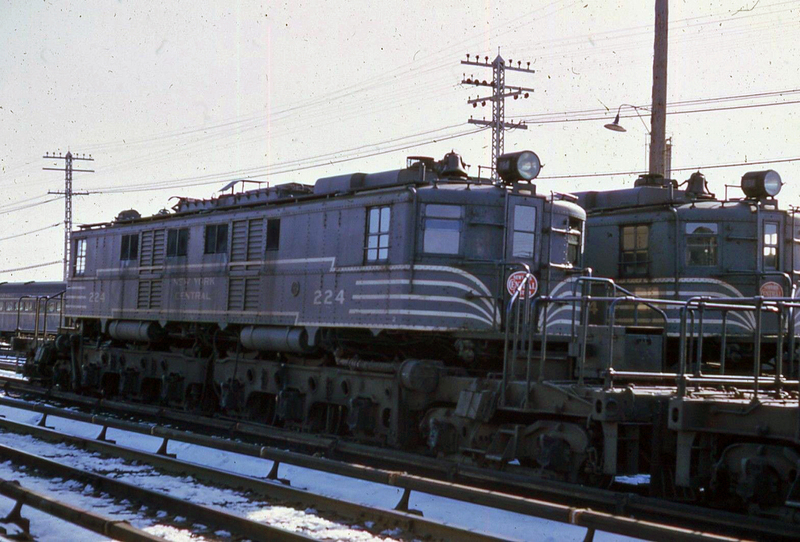 One of the final electric locomotive types purchased by the New York Central was the R-2 class. They featured the now-common C-C wheel arrangement used and diesel locomotives, and nose-suspended traction motors, far more advanced than any other type of electric the railroad had previously purchased. Interestingly, however, they lived out most of their lives on the NYC in secluded isolation, being used in freight service on the railroad’s West Side electrified lines. Today, while several of the S class motors have been preserved none are on public display. However, while this is the case, both Amtrak and Metro North continue to use many of the railroad’s electrified lines today for commuter and intercity services, including service to Grand Central Terminal (although the station itself only serves local commuters). Thanks to Joe Klapkowski for help with the information on this page. For more reading on the New York Central electrification please consider Electric Locomotives by Brian Solomon. The book details most electric locomotives used in the United States beginning with the B&O’s Baltimore project and also covers the Central’s operations. Also, you might also be interested in New York Central Railroad from Brian Solomon and Mike Schafer. While the book is just a brief history on the railroad it is very well done and will at least give you a general overview and history of the Central’s (and it is filled with many, excellent, historical and colorful photographs, including that of the New York Central electrification projects) at which point you can decide if you are interested in further books of study on the railroad (there are hundreds out there! ).